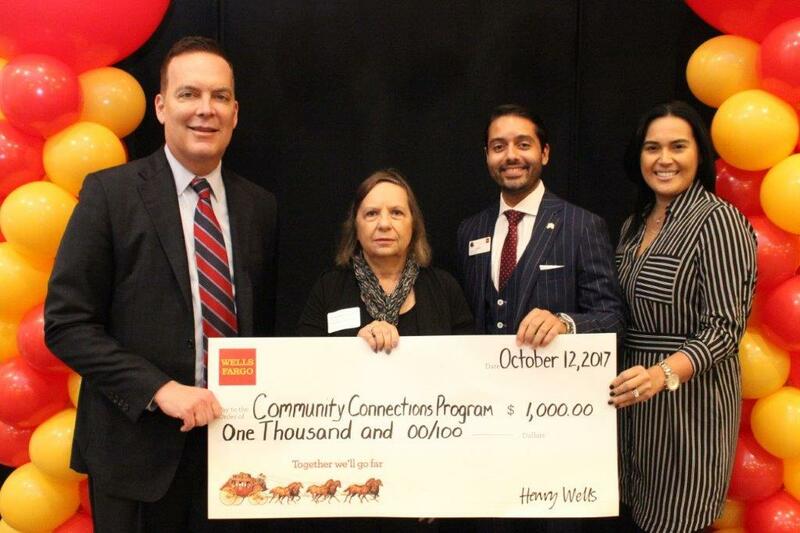 Parsippany, October 12, 2017 – The Woman’s Club of Parsippany-Troy Hills (WCPTH) was awarded a $1,000.00 grant on October 12, 2017 by Wells Fargo Foundation to support WCPTH’S mission of volunteerism and service to their community, and beyond. The community event was hosted by Wells Fargo’s newly selected region bank presidents, Greg White and AZ Abdulghani, at the East Hanover Marriott in Whippany. The Woman’s Club of Parsippany-Troy Hills, chartered in 1954, is a dynamic group of women of all ages and walks of life committed to volunteerism and service to the community. Among their many initiatives, they are very proud to have been instrumental in the founding of the Parsippany Library and the Parsippany Child Day Care Center. Today the Woman’s Club is involved with the Parsippany Food Pantry, American Cancer Society’s Relay for Life, Jersey Battered Women’s Service and Child Abuse Prevention – NJ. The club also supports Boatsie’s Boxes for the military serving overseas, UNICEF, Heifer International and other worthy and charitable causes. “We host this annual breakfast to celebrate, recognize and say thank you to community heroes such as WCPTH for all their invaluable contributions and dedicated service to empower northern New Jersey neighborhoods over the past year,” said Greg White, Wells Fargo’s Northern New Jersey region bank president. The Woman’s Club of Parsippany-Troy Hills is a member of the New Jersey State Federation of Women’s Clubs, which is the largest volunteer women’s service organization in the state, providing opportunities for education, leadership training, and community service. For more information call Cathy at 973-984-0758, e-mail the club at womansclubofpth@gmail.com, check out their web at www.parsippanywomansclub.org or follow on FaceBook. Pictured left to right: Wells Fargo Northern New Jersey’s Regional Bank President Greg White; WCPTH club member Lois Preis White; Branch Manager Angel Moreno; Mid Morris District Manager Ana Matos.